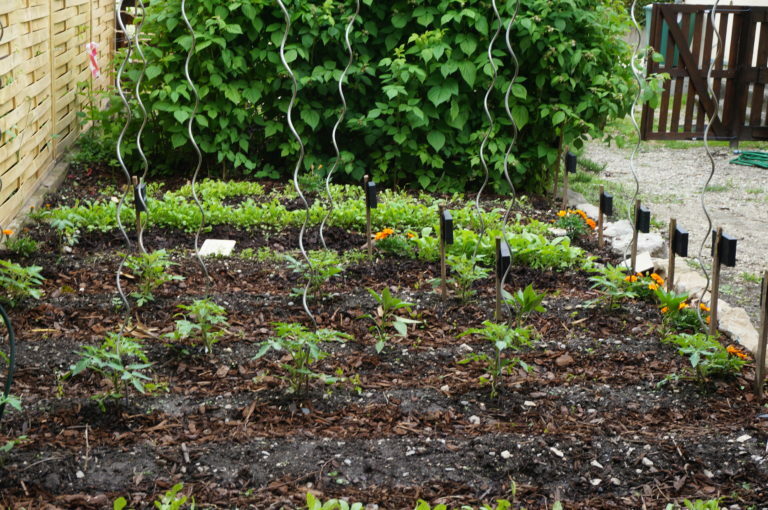 We all know it’s important to rotate our garden crops, but sometimes it just seems like it’s easier to plant the same crops in the same locations every year. After all, you probably chose the most perfect sunny spot for your tomatoes and took the borderline-shady spot for your cool weather crops, right? 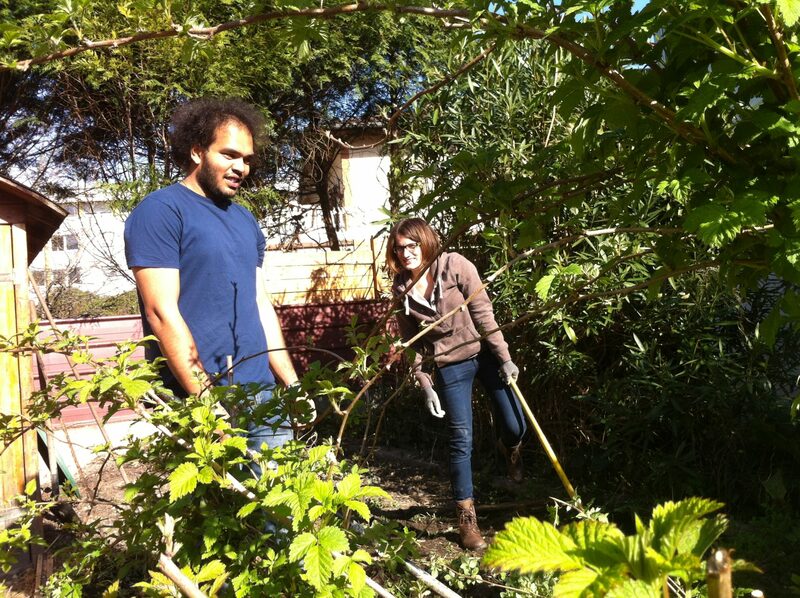 That’s where garden mapping comes in. With proper garden mapping, you can be on your way to planning the perfectly rotated garden year after year. Last year was my first year living on this property, so I was tasked with taming the “jungle” that the vegetable garden had become. (I had a little help from some friends to clean it out!) This also involved assessing crop health for the perennial crops and giving a few other perennials some patience while I figured out just exactly what they were. The previous residents were fruit fanatics: our front yard had a plum tree and two cherry trees, and the back garden had red raspberries, red currants and strawberries. Somewhere along the line the kiwis and figs that had once been cultivated here were also removed. Unfortunately, after some assessment, we realized that the strawberry plants were quite full of mold and the plum tree had multiple ailments which led to both of them needing to be torn out. It’s never an easy decision to remove a perennial plant, especially one that takes years to grow – like the plums – or one that requires years of rest on the soil – like the strawberries. However, for the health of the other nearby plants, we needed to take action and protect them from any disease or insects present in the infected plants. Since we had to remove some unhealthy plants, I did some research on crop rotation to help nurse the soil back to health. Below are some of the tips I learned which can hopefully help you in planning your garden for this year. Make a plan for your garden. Do some research to learn what plants are best for various purposes. Greens, when tilled back into the soil, help fortify the soil with organic matter. Root vegetables help loosen the soil deep down to make it looser and more conducive to gardening. All of these are good plants to cultivate where strawberries have been removed. Basil can enrich the flavor of tomatoes they are planted near as well as repel certain bugs. 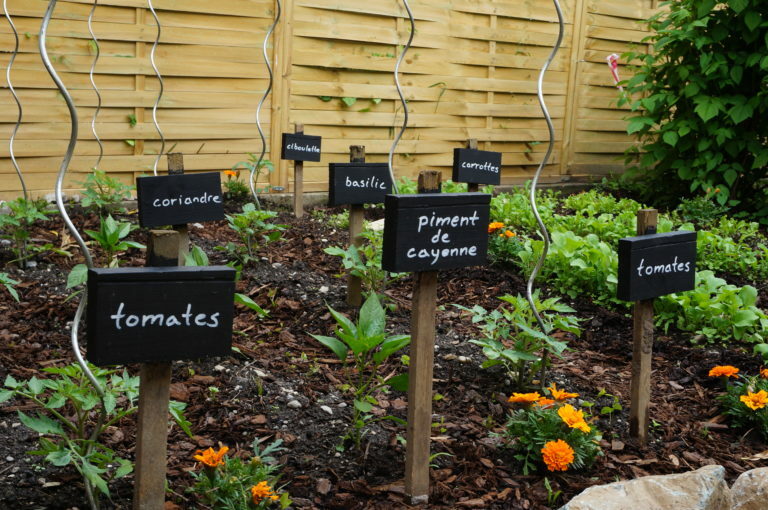 Make a sketch or diagram of your garden, and map out what plants you want in each row. I used Excel for this. It’s not as pretty as some garden maps, but this way I can easily divide up actual garden rows with columns and rows in Excel. I can use one tab per year so that I keep multiple years on file to know how to best rotate the crops for years to come. Make a crop rotation plan. Nursing the soil back to health where a moldy strawberry plant has been is a couple-year endeavor. Since some plants are susceptible to the same molds and diseases, it’s important to know what you should and shouldn’t plant where a diseased plant had been. Peppers, strawberries, tomatoes and squash are all susceptible to similar diseases. Therefore, don’t plant one where the other had been in a previous year. Give the soil at least one year’s rest. 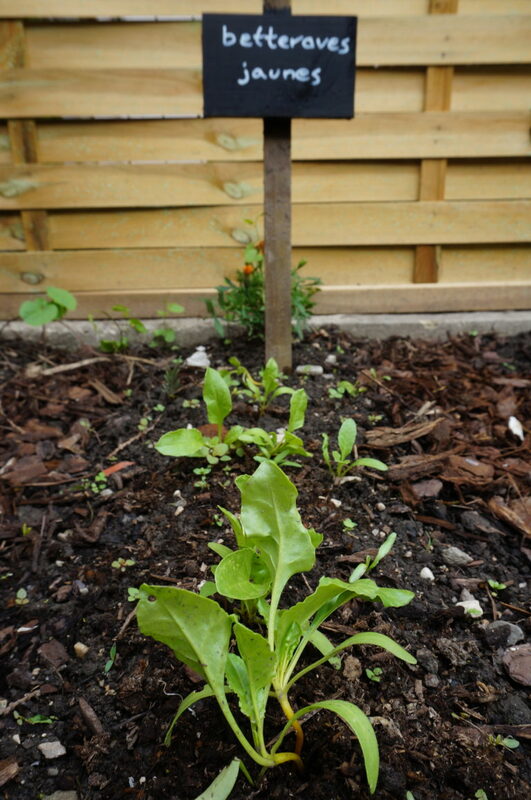 Do plant root vegetables, greens or peas where these plants had been. This crop rotation chart was helpful to me. Put a hedge around it. We built a fence out of pallets to make our garden more private. 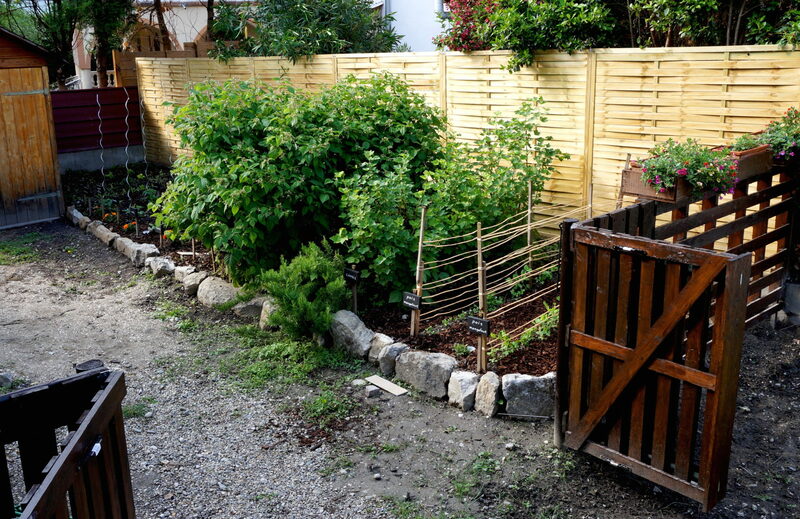 Our house backs up to an apartment complex, so before the fence was there it wasn’t as clear as to who owned the garden – and some crops would “mysteriously” go missing from the previous resident’s garden. 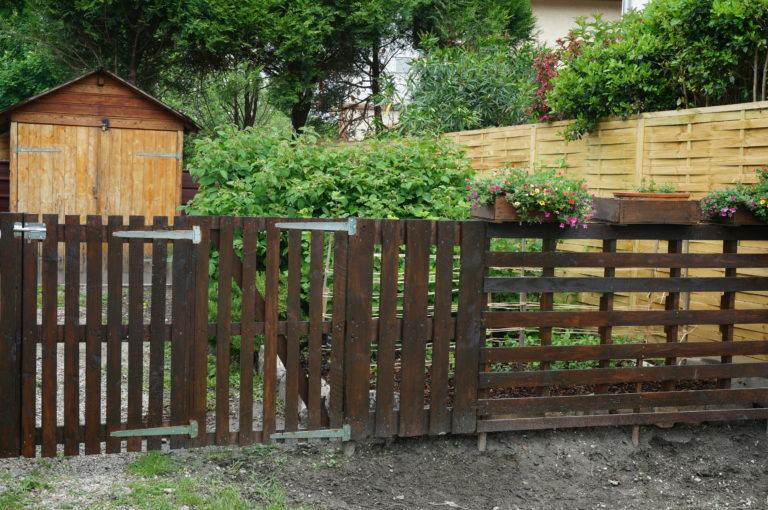 My husband made us a fence and gate out of pallets he found. We stained them and mounted them all at a uniform height. He even made a latching gate and added some flower boxes to the top of the fence. 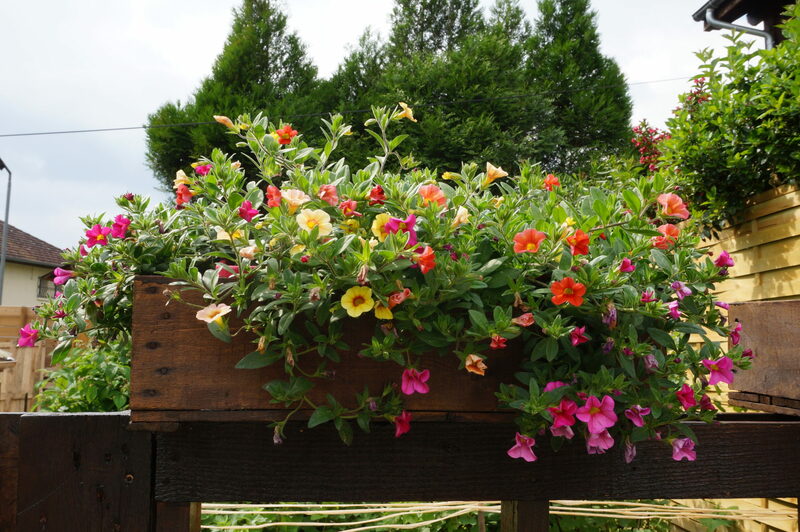 We planted calibrachoa in the flower boxes to attract pollinators to the garden. We made an eggshell fence to keep the slugs at bay in between the rows of anything we planted from seeds. On the outside of these rows, we dug a small hole and placed a plastic cup in it filled with beer, which functions as a natural slug trap. We wanted to make sure that we and everyone we shared the garden with knew what was planted in each row, so we made cute DIY garden markers. All you need is scraps of wood, stakes, paint and a paint marker. My husband cut the scraps of wood to uniform lengths and painted them with black paint. Once the paint had dried, he wrote out the different crop names (from my garden map) and placed them in each row. Now everyone knows what those little green shoots they see are!